The Strawberry Princess rules the berry patch!! She is every bit as sweet as the berries she is picking. 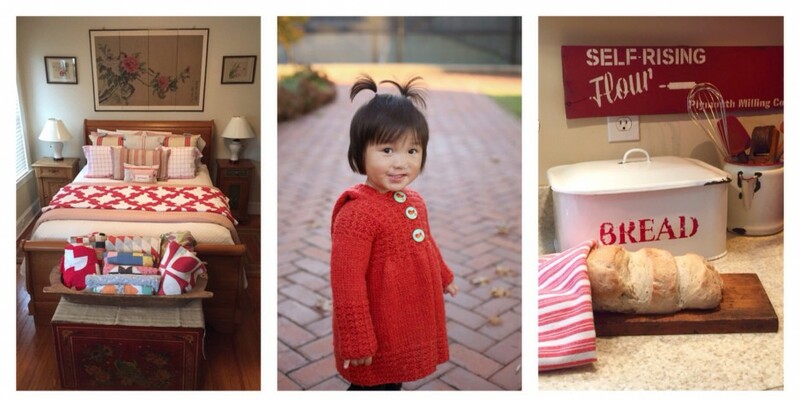 Thank-you for this delightful post and the beautiful photos of the ever adorable Princess. P.S. The ice cream is very inviting too! 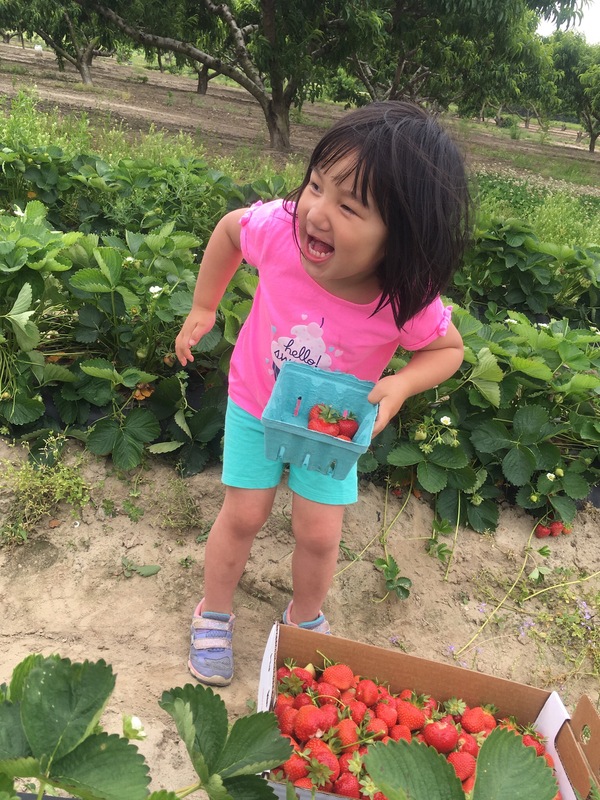 She was quite excited about the strawberries this year but managed to eat her weight in strawberries at the farm. I think we have a tradition in the making! Soo cute ! Love the ice cream ! P-R-E-C-I-O-U-S! Love sweet little girl pictures! And the strawberries are so red! Very cute! Thanks for sharing! This brightened my day! Thank you. Your sweet comment made my day! Our Princess is a joy and a true combination of sugar and spice. Those strawberries look so delicious! 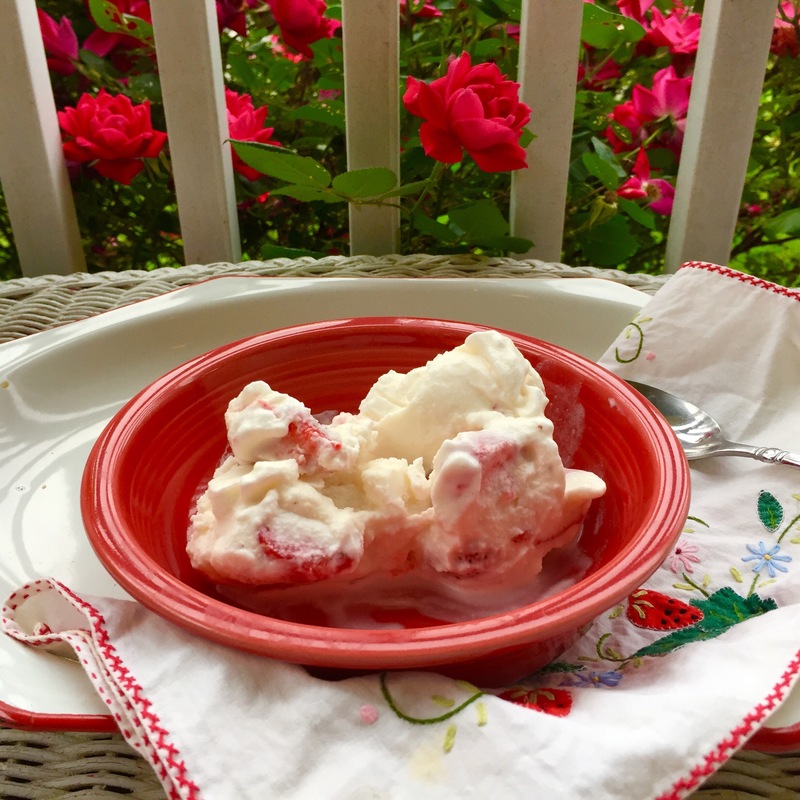 And is that homemade strawberry icecream! yum! Yes! Homemade ice cream. So easy in our ice cream maker. It was an indulgence on my wedding registry but one of my most favorite gifts! She is adorable! I need to find some place to pick strawberries, it’s so hard to find ones with the long stems in stores. 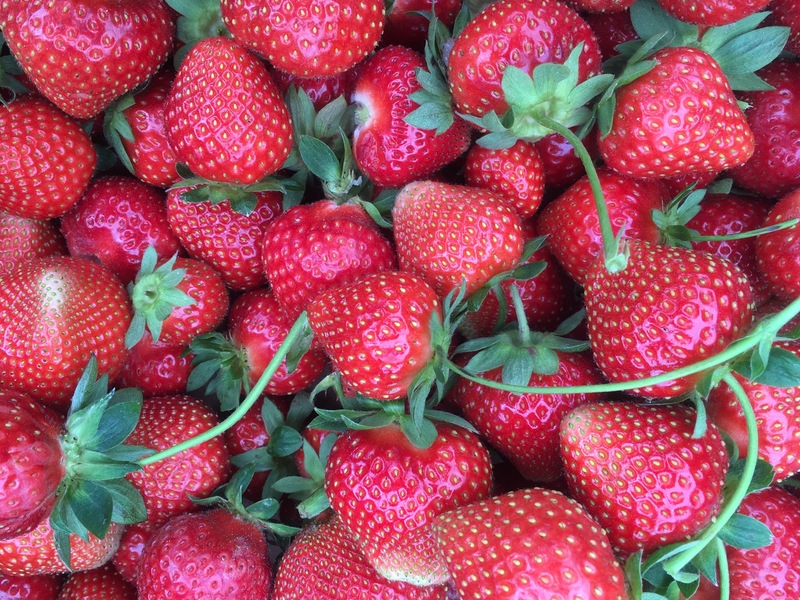 The store berries may be big and bright red but the flavor of just picked berries can’t be beat. 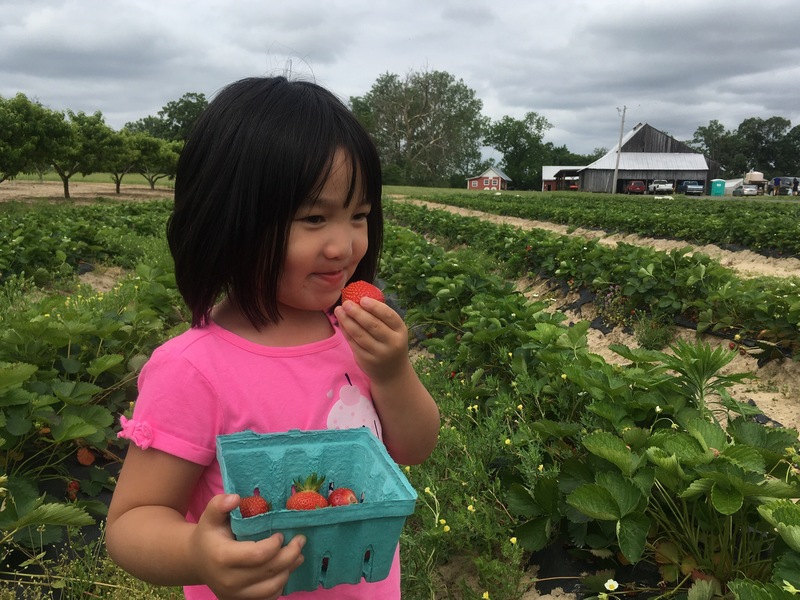 Picking strawberries is a highlight of our spring. I freeze bags to enjoy all winter. 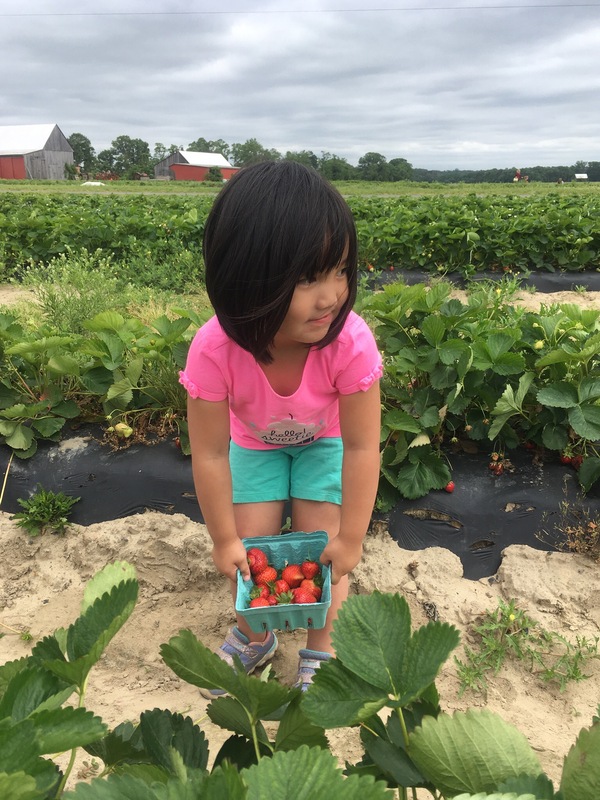 Strawberry season is just ending in Maryland. When I lived in Pennsylvania growing up I remember picking them in June and July. Those berries were wonderful. The store bought ones may be big and red but they just don’t have the same flavor. Those dimples in her little hands are precious. What a cutie. You should post the ice cream recipe…I need it! I will! I have to admit the ice cream maker has got to be one of my top 3 favorite wedding gifts. Look for the recipe next Thursday! Plain, in a pie, or topped on shortcake; I just love them! Looks like princess does too! Thanks for sharing with SYC. Shortcake is definitely on the menu tomorrow! 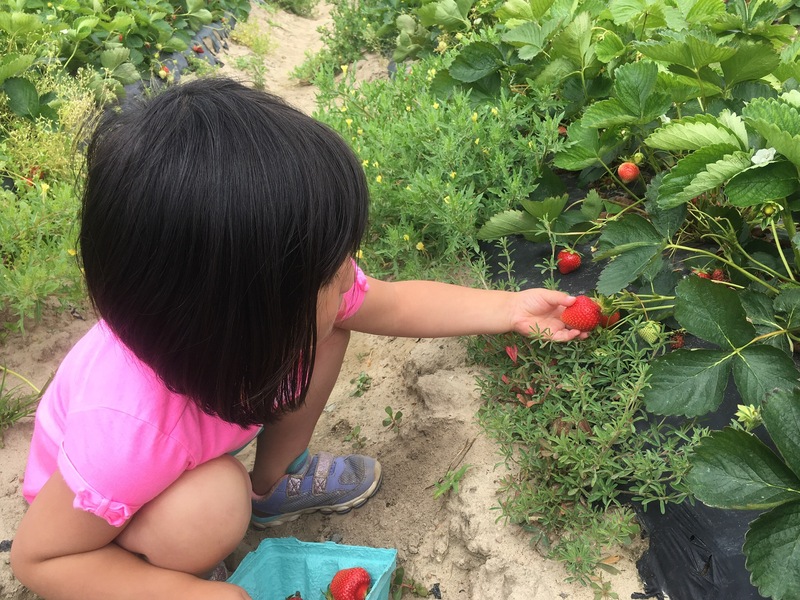 Your sweet little girl is so beautiful with her big smile and the joy in her little face as she checks out the strawberries. She is a pure joy…most of the time. She does have a little spice to offset that sweetness but we love every bit of her. I think the Princess has the right idea about strawberries! She looks to be enjoying that! Thanks for joining Home Sweet Home! Looks like the Princess had a great time picking strawberries and that ice cream looks delish. Thank you for sharing at the Snickerdoodle Create~Bake~Make link party! Your little bundle of JOY is ADORABLE!! !